After weeks of price increase, the average diesel fuel price decreased less than a penny. 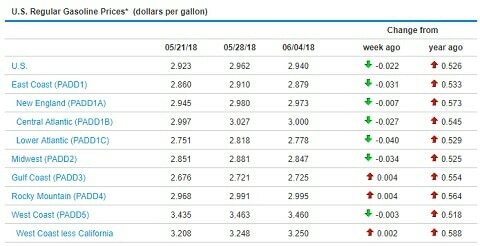 The average price is $3.285 per gallon on June 4, 2018. This is up 72 cents over this time last year. Midwest and East Coast prices declined, while the rest of the county saw price increases.